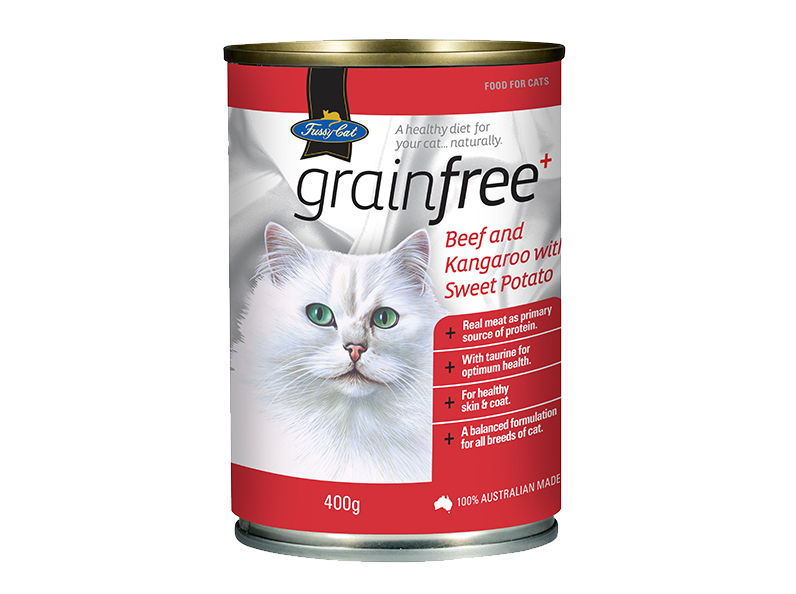 Fussy Cat Grainfree Beef and Kangaroo with Sweet Potato is made with real meat as primary source of protein with taurine for optimum health for healthy skin & coat. A balance formulation for all breeds of cat. Meat (Beef, Kangaroo, Lamb and/or Pork), Chicken and/or Turkey, Sweet Potato, Starch, Pea Flour, Fish, Vitamins & Minerals, Oil, Gelling Agents, Flavours, Natural Colour (Caramel), Taurine.